Home » Book Club Books 2011 » Two book club meetings in one week! Two book club meetings in one week! Tonight Sarah and I (the Rochester branch of the Walkie Talkies) did some mall walking and discussed not one, but TWO books! 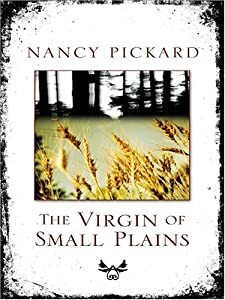 We met a little later than initially planned so that Sarah could finish “The Virgin of Small Plains” by Nancy Pickard. That was the book that I had to start over because in my reading / falling asleep habit caused me to lose my spot a few times and about half way through I wondered why the author was so cryptic in her releasing of details! When I started over I realized that I skipped about 8 chapters! The book had short chapters, but still! But when I got into it I couldn’t put it down and stayed up later than I should have one night to finish. We had a good discussion about the big secrets in a little community, the victims of the secrets, and whether or not there were real miracles performed. Then we discussed “Sarah’s Key” by Tatiana (I think). We finished the book a little while ago, and the overwhelming feeling was how unbelievable it is that we can continue to learn about new horrors that occurred during WWII. You think that it couldn’t possibly get any worse – and you learn about something new. We also discussed a country owning up to its injustices and the shame felt by not doing enough. And those people who risk their lives to help strangers. Wow. So lots of walkie and lots of talkie! Next on our agenda is “The Magicians” by Lev Grossman and “One Day” by David Nicholls. Yeah! Something I’d like to figure out how to do is to import images into the blog without downloading them to my computer and then uploading them to this site. Maybe that’s not a big deal, but it seems like there should be an easier way. So, another time. This entry was posted in Book Club Books 2011 and tagged Apache Mall, mall walking, Sarah's Key, The Virgin of Small Plains. Bookmark the permalink.